It was only three years ago when point of sale (POS) mobile payment solutions were beginning to hit the market. Quickly, the new portable, efficient, effective, and easy solution for accepting credit cards on the go became a success due to market demand. Merchants fell in love with the idea of being able to use something they already had (such as a smartphone or tablet) and turn it into a credit card processing terminal to accept credit cards. Not only did businesses with field agents find this technology practical, but smaller businesses with tight funds also found this mobile payment solution to be far more cost efficient than renting or purchasing a POS terminal. This newer form of credit card acceptance has proven to contribute to the increase in total credit and debit transactions as well as an increase in consumer spending. According to a report by Javelin Strategy and Research, mobile point of sale transactions could account for $1.1 trillion in new card payments every year! Yes, you read that right…that’s “trillion” with a “t.” The study goes on to mention that mobile POS could expand the existing market for card payment networks by as much as 20 million merchants. With that said, it seems that mobile technologies will be even more relevant in the years to come due to other mobile payment solution technologies that are slowly emerging worldwide. In order to stay competitive in their industries, some merchants will have to add mobile card acceptance solutions or replace their current POS terminals altogether if it makes sense for their business. Companies with field agents such as rescue-rooter, will need to collect payment for plumbing services once the job at a customer’s house is completed. 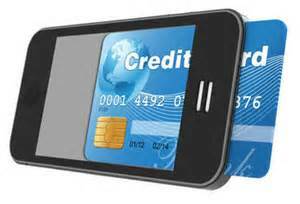 This is where mobile payment solutions can be effective and ideal. If your company doesn’t have field agents, but has fluctuating store traffic, mobile payment solutions can be helpful and make your business more efficient by giving your sales team the ability to checkout customers anywhere in the store if they are ready to buy. For credit card processing companies like Century Business Solutions, this means progressive change to adapt new technologies and move with market demand and trends. Mary Monahan, EVP and research director for mobile at Javelin Strategy & Research stated “the new mobile POS players pose a threat to the traditional POS terminal and acquiring businesses, which must adapt, invest, or acquire.” Century Business Solutions has adapted by integrating their virtual gateway, EBizCharge, to work with the most popular accounting software, online shopping carts, and PaySaber mobile payment solutions so that merchants can collect credit card payments anywhere, anytime.